For over four years, Mike Kirkup was the director of Velocity—the startup incubator at the University of Waterloo. It’s been a huge addition to the Waterloo startup community since opening in 2008. 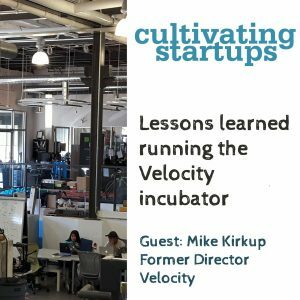 He stepped down just over a year ago to become CTO at Encircle—a Velocity graduate—and on this week’s show looks back at lessons learned from Velocity’s growth (and how a huge space for Velocity Garage quickly became too small). I also take a quick look at some new data on Canada’s venture capital industry from a BDC report released last week, and catch up on the Canadian government’s Innovation Superclusters Initiative (ISI) after attending a information session. Only five superclusters are going to be selected and the front runners seem pretty clear. Is there even any point for anyone else to apply?